Covered Topics During MBA: Management, Communication, Constitution, Marketing, Finance, Organizational Behaviour, HR, Operations, MIS, E Commerce, Business Management & Policy, PD, Law, Maths, Leadership, Project Report, Specialization in two areas with Internship, TQM, Finance, Database . Specialization List : HR, Finance, IT, Marketing, Banking, Operations, Hospitality, Retail, Project, TQM. Career Opportunities : Unlimited options for career with high paying career, In All the Industries Management Related Jobs, In Government Sector Jobs, Suitable position for Marketing, HR, Administration. • Reputed and Highest Degree in Management (According HRD, Gov. of India). 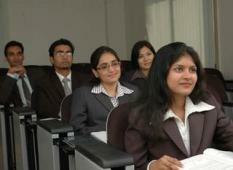 • Totally job oriented course with guaranteed Job in Pvt. Sector or Govt. Sector. • Eligible & Demanded course for Government and Private Job. • Wide and specific area to get knowledge. • Written Job Guarantee through BSS. • 100 % Result of last session. • 70 % + Marks of 40 % Students. • Rank in State and Awarded Institution. • Large & Modern Campus. • Regular Classes through expert faculties. • Free Computer and English Classes. • Daily 4 to 5 Hours Classes. • Internship of 6 Months. • One Tablet PC for student. • Scholarship and Hostel Facilities.